B c1880s William Anderson 1m, 6 sp. st, 1c, tr. One of Melbourne’s oldest inner suburban churches, St Joseph’s, Collingwood, was destroyed in a fire that consumed the building early in the morning of Monday 2 April 2007. 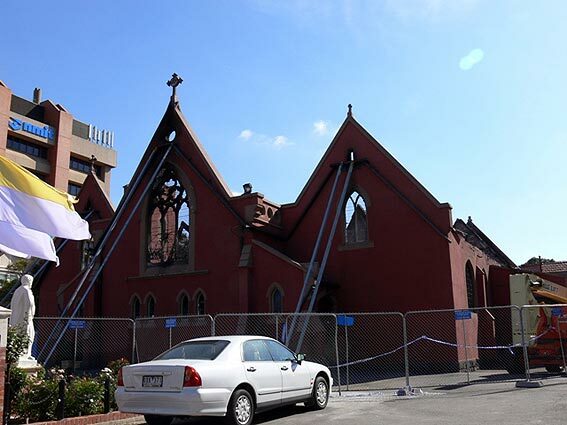 The contents of the building appear to have been entirely destroyed, including the stained glass and pipe organ. St Joseph’s Church was an early example of the work of architect and builder John Bun Denny (1810-1892), who emigrated to Australia in 1860; in Britain he had acted as master of works for the building of Pugin’s St Giles’, Cheadle. This brick building, consisting of a central nave and side aisles, with a tower to the left, was completed in 1875 and 1891. Many of the fittings were sadly removed post Vatican II, but there was a very fine collection of stained glass by Ferguson & Urie, Rogers & Hughes and William Montgomery. 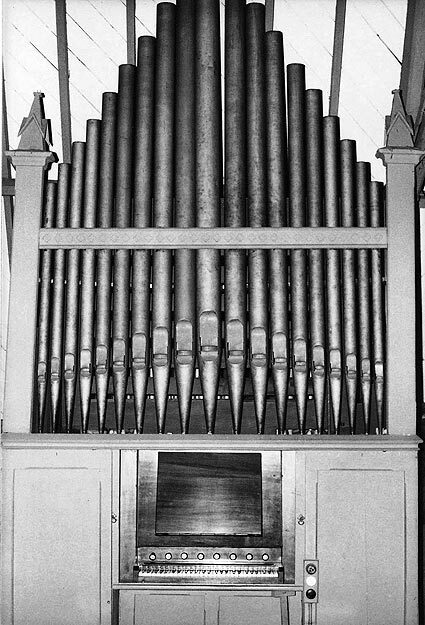 The organ is understood to have been supplied by William Anderson after 1883. The key compasses are unusually short for the period. It is possible the windchests, and maybe some lower case panels, were recycled from an earlier instrument, but the casework, very similar to Christ Church, Beechworth, and undecorated zinc façade pipes appears to date from the time of its installation at St Joseph’s. The case timbers were painted but the console retained its original cedar fittings.